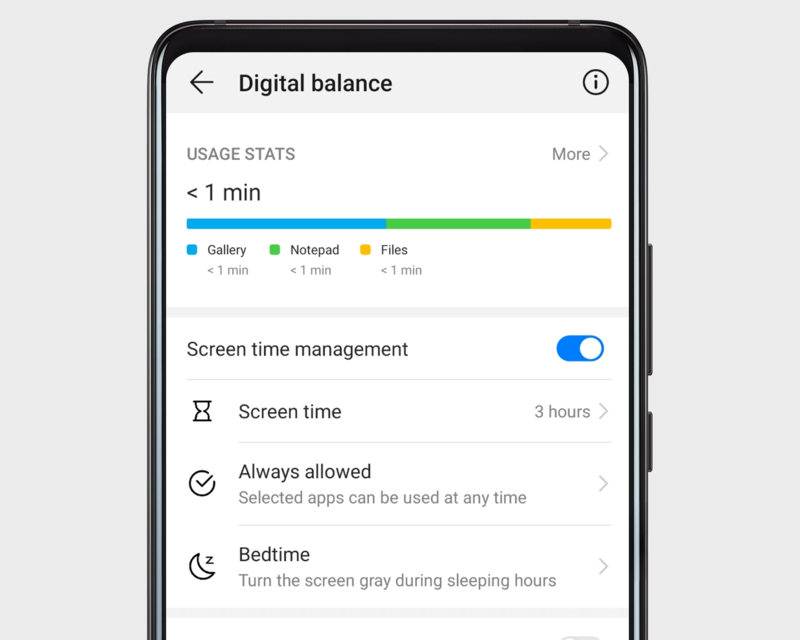 Monitor, manage, and balance your phone usage habits with Digital balance. Understand your habits: Open Settings, and go to Digital balance > More to check out your usage stats for the day and the last week. Manage your time: Enable Screen time management to plan how to use your time. Get plenty of sleep: In Screen time management, go to Bedtime to manage display settings for the wee hours.